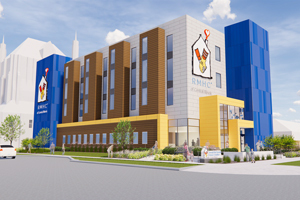 Peoria Capital Campaign – Help Bring the new Ronald McDonald House® to Peoria! For additional information contact contact Kelly Thompson at kt@rmhc-centralillinois.org or at (309) 401-2525. Please feel free to contact us at 217-528-3314 with any questions about other ways to help! Tix4Cause.com is a secondary ticket vendor and you can donate a portion of your ticket purchase to RMHCCI. Select RMHCCI as your charity of choice when shopping on Amazon, and a portion of your purchase is sent to us! RMHCCI is recognized as a public charity under Internal Revenue Code section 509(a) and has 501(c)(3) status. 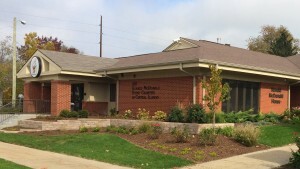 Donations to RMHCCI are deductible. Donors should consult their tax advisor for questions regarding deductibility. The RMHCCI EIN is 37-1145155. A copy of the RMHCCI determination letter is available upon request. The following trademarks used herein are owned by McDonald’s Corporation and its affiliates; McDonald’s, Ronald McDonald House Charities, Ronald McDonald House Charities Logo, RMHC, Ronald McDonald House.